Want to save money? Most of us do. If you’re willing to share in the work, you can potentially save hundreds of dollars on your spa repair. 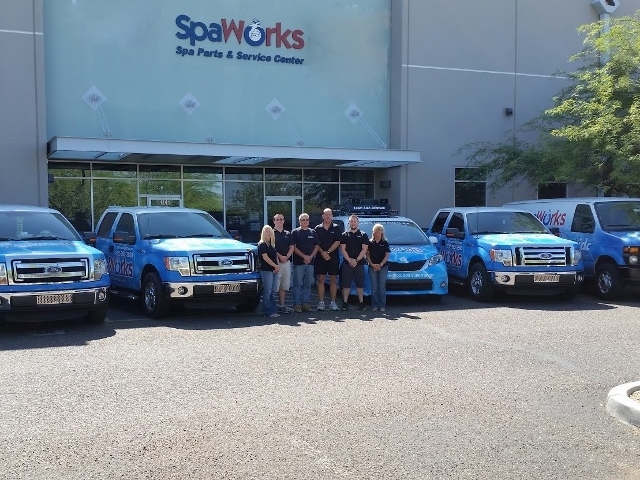 SpaWorks’ state-of-the-art Spa Technology Center offers a complete selection of over-the-counter troubleshooting and repair services……….controllers, heaters, pumps and motors, and even circuit board repair! With the complexity and sophistication of today’s spa control systems, you want only the most experienced and skilled technicians working on your equipment. And our technicians are experts who gained their skills through decades of hands-on experience. Don’t just scrap your expensive printed circuit board! The technical staff at SpaWork’s Spa Technology Center may be able to restore its functionality at a fraction of the cost of new. Inspections, testing, troubleshooting, solder/desolder, remove/reattach components, through-hole repair, replace damaged circuits, contacts, and pads, repair burns and physical damage to laminate, and more. Balboa, Jacuzzi, Sundance, and Coleman/MAAX circuit board repair specialists.